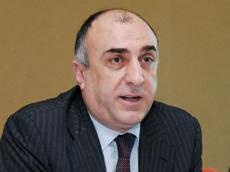 A delegation led by Azerbaijani Foreign Minister Elmar Mammadyarov has left for Minsk, the capital of Belarus, Azerbaijan’s Foreign Ministry told Trend. The minister will participate in the informal meeting of foreign ministers of the Eastern Partnership countries to be held June 21-22 in Minsk. Mammadyarov is expected to deliver speech and meet with several officials as part of the event.